Draft Rezone Map: CHUV is slated for the largest expansion and upzone of single family properties in the City. Crown Hill Residential Urban Village is located directly north of Ballard around the busy intersection of 15th Ave. NW, Holman Road and 85th Street. Our Urban Village is divided into four quadrants by major arterials. 85th St NW divides the Urban Village north to south. 85th is a very busy four-lane road with only three safe places to cross – at the light where 85th crosses 15th, at the Greenway at 17th Ave NW, and on 13th Ave NW. An extremely busy seven-lane freight transit corridor (15th Ave/Holman Road) divides our Urban Village East to West. 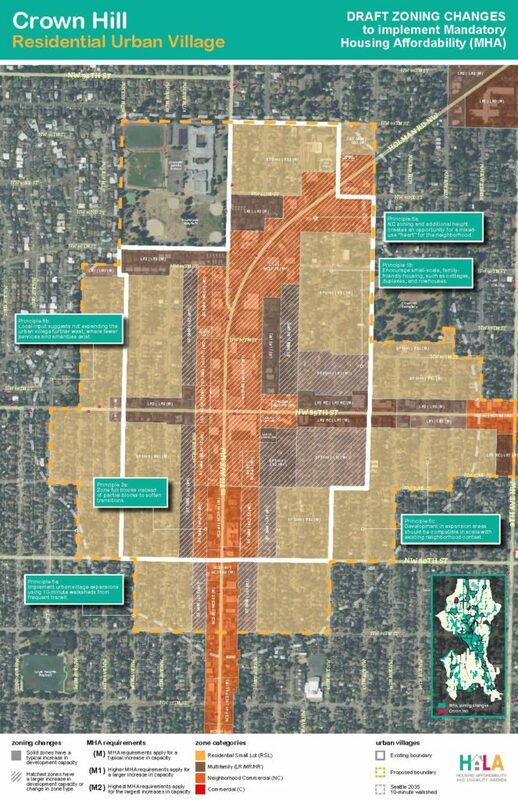 This corridor is zoned Commercial – and a large area along Holman north of 85th is zoned C1 and C2 which is designed as automobile-friendly zoning. 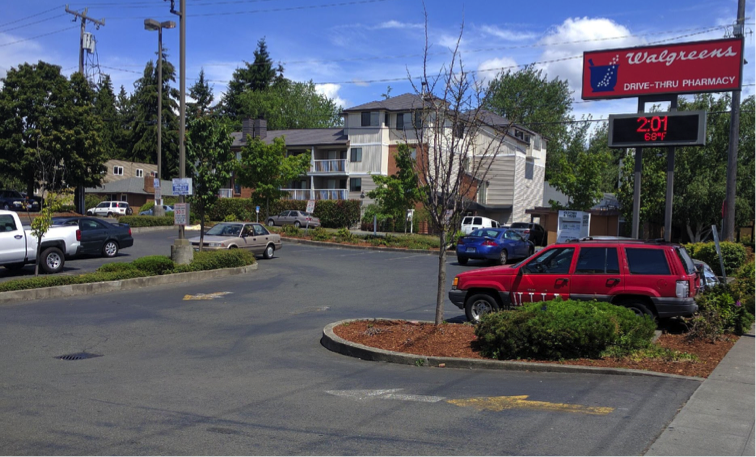 CHUV commercial-zoned arterials are lined with huge big-box stores with vast open parking lots. Walking to or around this area means long waits at traffic lights and dodging cars coming in and out the car-oriented businesses. Who Lives in Crown Hill Urban Village Now? The majority of the Urban Village and almost all of the proposed expansion area is single-family housing zoned SF 5000. Most homes here are modest bungalows. Lowrise apartments and townhouses are interspersed along the arterials and areas currently zoned low-rise. 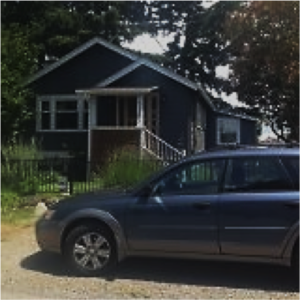 In our Single Family area, our neighbors own and many rent their single-family homes. They are school teachers, nurses, small business owners and firefighters. Our neighbors are young families in their first homes. Retirees on a fixed income. Single parents who can afford to live here on one income. Young professionals just starting careers. Our single-family area is home to many who could not afford to live elsewhere in the City. Our neighborhood is economically diverse with over 25% of residents people of color. What new Development is already coming to CHUV? Today, there are 21 new housing development projects inside or at the boundaries of Crown Hill Urban Village that are in the development pipeline that would add over 600 new housing units to our neighborhood. These new developments are being built along arterials and areas that are already zoned for growth. Of these 21 developments, only one has retail space included. Others have limited live-work space. These 21 developments in progress alone will increase housing units in CHUV by nearly the same goal as the Seattle2035 20 year plan, which projects housing growth in CHUV by 700 by 2035. Right now there are a mix of businesses in CHUV. Some are small, locally owned businesses or professional offices and many of these business owners live in the neighborhood. These small businesses are beginning to be displaced by new development that is buying out their modest space for re-development, and there is no replacement space being built. There are also franchise businesses that are geared towards auto customers, and they are typically large box stores with empty parking lots. We have two gas stations, two large grocery stores (Safeway and Grocery Outlet), big-box stores (Petco and Value Village) as well as drive-through fast food and other business that cater to drivers and those coming into the area in cars to shop, not pedestrians. These areas are currently zoned the opposite of what is typically envisioned with a vibrant residential Urban Village center, and their zoning (C1, C2 and NC 1, 2 and 3) reflects the priority for cars. More office space and pedestrian-friendly, community oriented businesses need to be integrated into new neighborhood and development design to have a truly walkable community and vibrant center. Parking lot at Walgreens, Northeast corner of 85th and 15th. This is one of the smaller surface parking lots along our arterials. 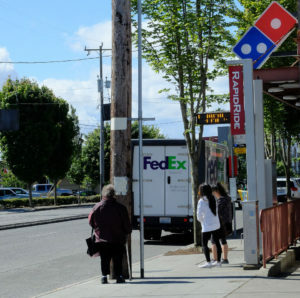 The “transit center” for our Urban Village’s “Very Good Transit” consists of open-air bus stops where North/South and East/West busses stop at the intersection of 15th and 85th. Catching the bus means crossing at least one if not both heavily trafficked streets. The main bus stop (aka our good high capacity Transit Center) at 15th and 85th NW, Southbound. The buses are overcrowded during peak commuting hours– it take 50 minutes to complete a seven-mile commute to City Hall. Crown Hill Urban Village is upstream from the heavy density in Ballard. Mobility in and out of Crown Hill Urban Village is hampered by heavy traffic both East/West on 85th and 80th streets, and North and South on congested 15th Ave NW. CHUV is one of only four Urban Villages being rezoned without existing or planned light rail service. 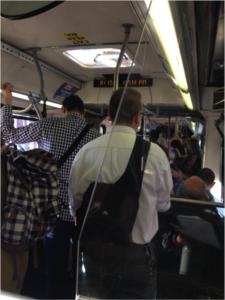 In CHUV, the transit system is already overburdened. There are over 600 new housing units in the pipeline for additional development right now – a nearly 50% increase in current housing, yet there are no current plans to invest in the transit needed to keep up with the growth that is already coming. The planned upzones and expansion of CHUV will increase the burden on our slow bus system further. We must either build the transit to accommodate the growth, or adjust the growth to be realistic about the basic mobility needs of our community. CHUV has a new Greenway that accommodates bicycle transit and pedestrian access north/south. It links Marcus Whitman Middle school at 90th St. with the Greenway that stretches south to Ballard. While the Greenway is an asset to our neighborhood, there are some modifications and improvements that would make the Greenway a stronger transit link in our Urban Village, particularly from 85th Street North. The Greenway north of 85th St. does not have sidewalks, so pedestrians walk in the middle of the street. This same section is also prone to flooding and can become impassable to pedestrians, bikes and cars in the rainy season. And, the design of the crosswalk at 85th and 17th has led to much easier and safer pedestrian access, however it has resulted in traffic back-up on 85th driving West towards 15th with cars cutting through neighborhoods and down allies and blocking intersections. 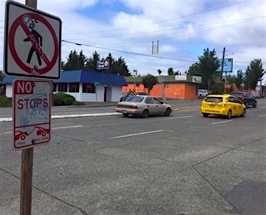 Cars, and particularly Metro busses regularly resort to driving on the curb to bypass the long line of traffic that has been narrowed to a single lane due to curb bulbs. Driving on the sidewalks is unsafe for pedestrians, and the traffic back-ups are frustrating for drivers who have few other East/West options. 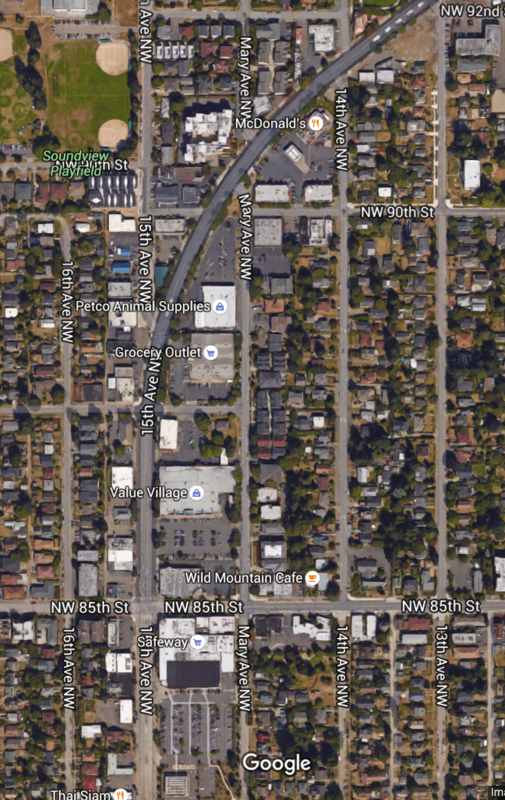 Most of the streets North of 85th Ave NW – almost half of Crown Hill Urban Village – do not have sidewalks. Cars on these streets park both at angle and parallel, making a safe path more challenging for pedestrians. 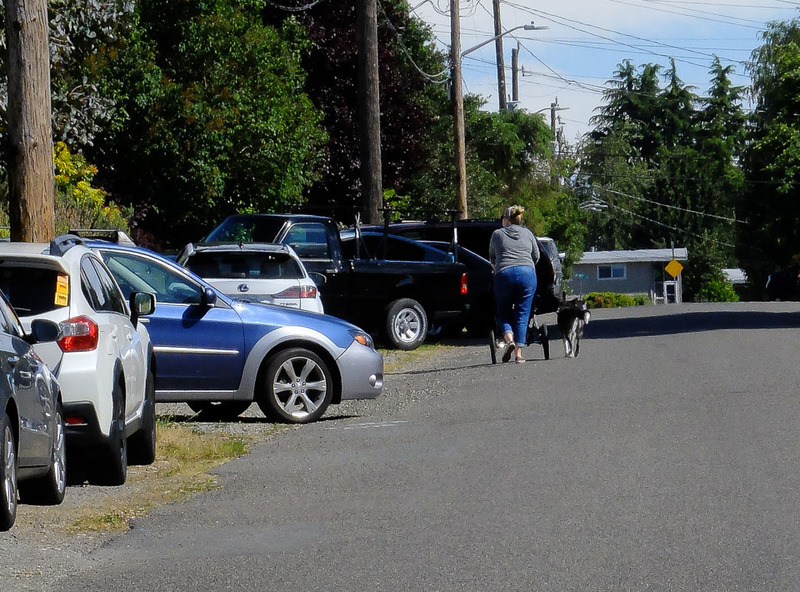 Residents walk in the street, or weave around parked cars, neither of which is an optimal solution to creating a transit focused, density populated neighborhood. There is poor drainage infrastructure in much of the current Crown Hill Urban Village, with flooding and roads rendered inaccessible to pedestrians and bicycles during peak rainy season. There are still open culverts in parts of the community, with some have filled with dirt over time. 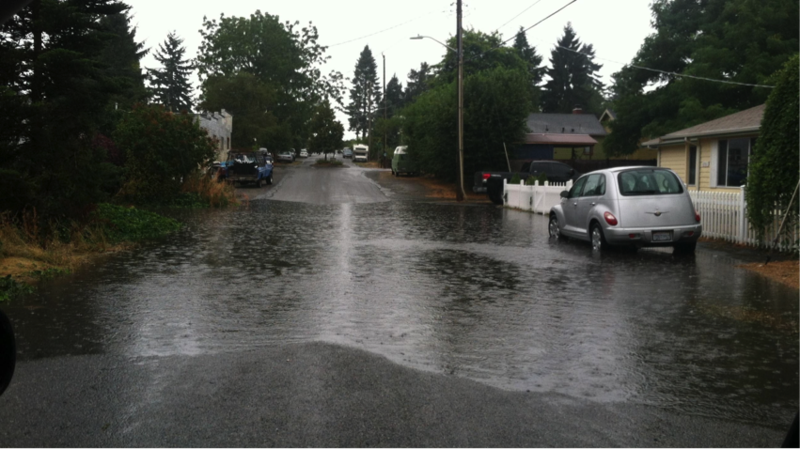 King County is responsible for stormwater north of 85th Street. Unfortunately, one of the streets that experiences the biggest problems with drainage and flooding is part of the Greenway recently installed on 17th NW. 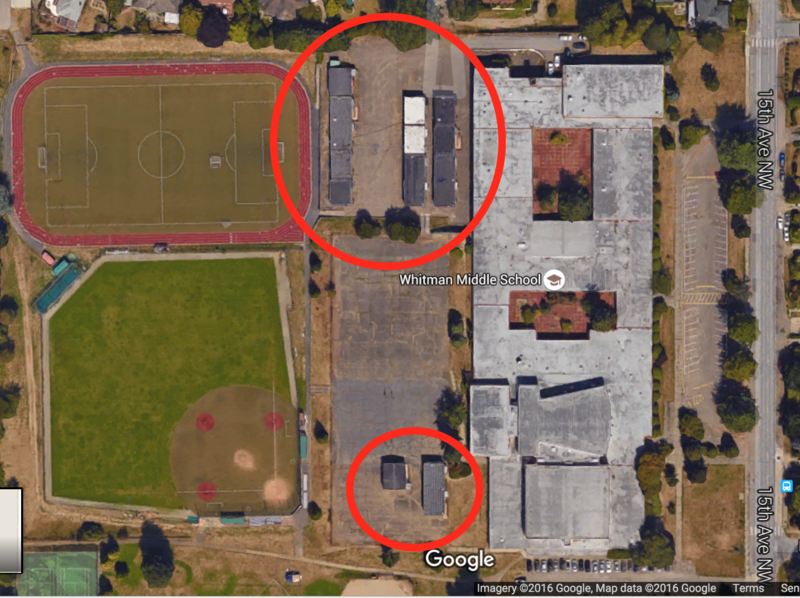 The 8700 block of 17th NW, is an important access point for pedestrians and bicyclists traveling to and from 90th NW and beyond—to Marcus Whitman Middle School, for example. The 17th Ave Greenway becomes impassable at 87th Street during heavy rains. Drainage issues and blocked culverts cause problems in large parts of the current CHUV. Crown Hill Urban Village is home to Marcus Whitman Middle School. It currently utilizes 15 temporary (portable) classrooms due to its age and the growing number of students. Since the closing of Crown Hill Elementary in 1980, there have been no elementary schools in Crown Hill. Approximately a quarter of the Urban Village and its expansion zone is not within the walk zone of any elementary school. 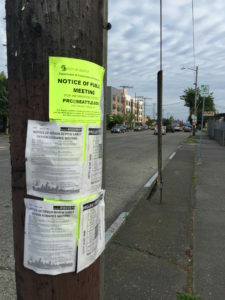 Seattle’s school district is building and expanding as fast as funding will allow, but there are no projects slated for Crown Hill at this time. A new Loyal Heights elementary school is being built which would take many expanded Crown Hill Urban Village students from Whittier Heights; however, no new schools or improvements are planned for the Crown Hill Urban Village. In short, even though CHUV has been designated as a “residential urban village” for years, the current zoning and infrastructure does not reflect the needs of a walkable residential community that utilizes public transportation into the City. Our neighborhood has not had a neighborhood plan since 1998, when CHUV was included in the Ballard plan. Comprehensive planning and significant infrastructure investments are necessary to develop a truly walkable urban community. Before Rezoning, we request the City commit the resources and planning to making Crown Hill Urban Village a truly livable residential urban center. If the City can not commit to the infrastructure and transit to manage growth, then please scale the rezoning back to keep our community functioning and livable.